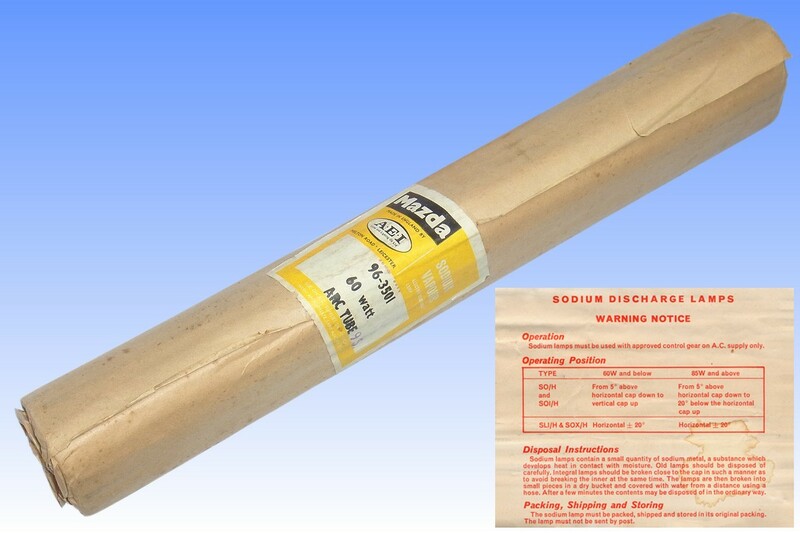 The inner arc tube shown here is a rather recently made product, having been manufactured by AEI Mazda in 1965. This demonstrates that even this late, there was evidently still a sufficiently large installed base of dewar jackets to justify the continued production of inner tubes for replacement purposes. Originally, replacement inner tubes were supplied with a pair of sachets of silica gel clipped to the U-bend to remove moisture in the lamp. Films of water had always been troublesome as the conductive layer over the glass makes ignition of the discharge very difficult. 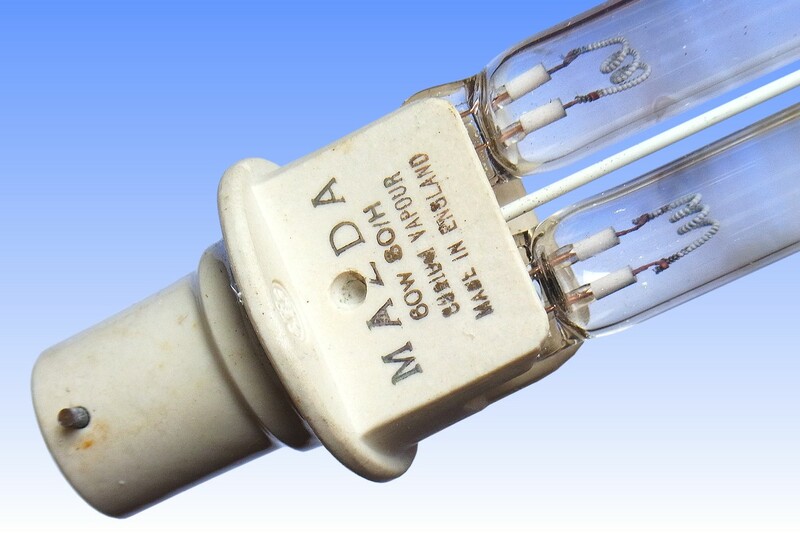 However in 1957, Mazda was first to introduce the silicone-coated discharge tube which is employed here. 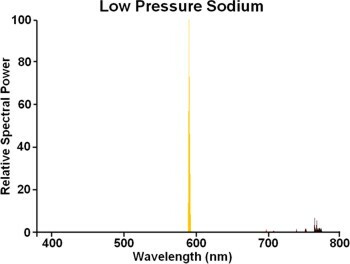 This coating repels moisture and breaks up any surface films of water, and it was a most effective method in increasing the ignition reliability of sodium lamps. 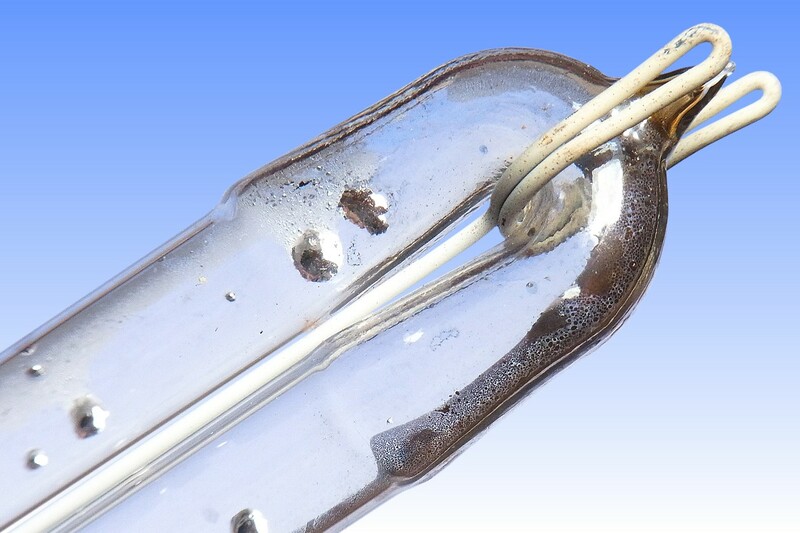 The 85W lamp was notorious as being the most unreliable in its ignition on account of the long discharge tube of narrow diameter. 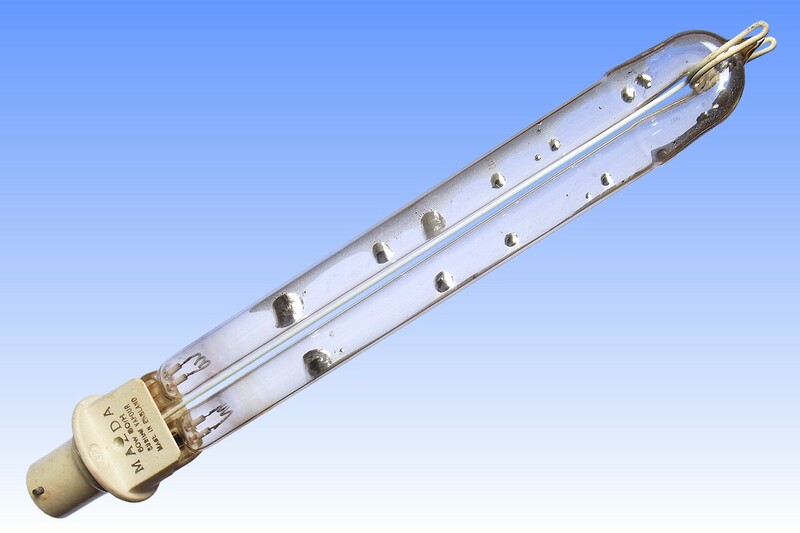 Although the 140W had a longer tube, its diameter was much larger and ignition did not prove to be so troublesome. 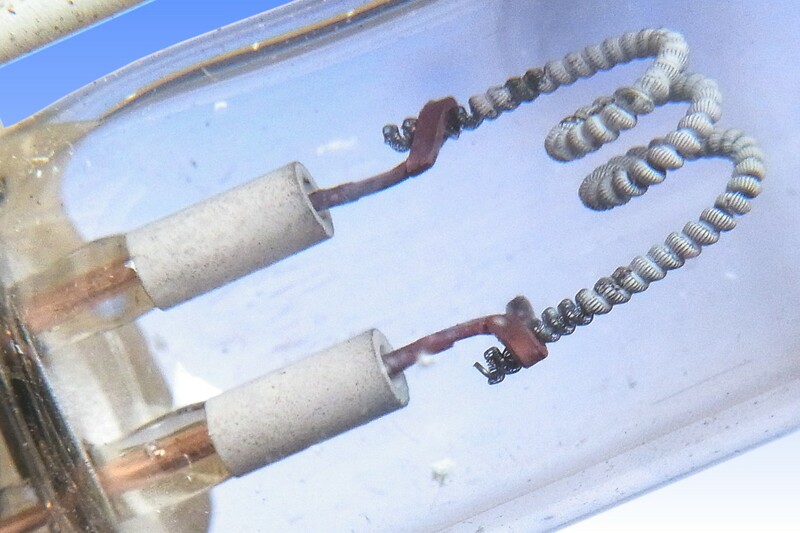 Once the siliconing process had been perfected for the 85W lamps it was rolled out across the rest of the range, and the silica gel packets were omitted from this point onwards. The inner tube here is made from Chesterfield C42+C94 soft glass (later renamed the X93+S95 types) , which superseded the hard glasses previously developed by BTH. These later soft glasses were much more resistant to cracking than the initial C10+C19 soft glass combination and were cheaper than the earlier hard glass types. Seals are to ordinary unborated dumet, as indentified from the copper colour of the wire. References: 1) AEI-Mazda Lamp Catalogue, 1968.